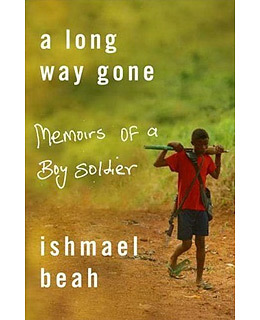 Beah was separated from his parents at age 12 when rebel soldiers attacked his village in Sierra Leone. By 13 he was a soldier, a killer many times over, armed to the teeth and wired on a mixture of cocaine and gunpowder. Beah's memory of his season in hell, and his eventual rescue and rehabilitation, are painfully sharp, and his memoir takes readers behind the dead eyes of the child-soldier in a way no other writer has.